We have a Sunday morning club ride each week, meeting at 7.45pm outside the Marks & Spencer supermarket in Hampstead (next to the royal free hospital) for an 8am start. This is a members meet and ride session, we have three GPX club routes which you can download, one route is around 55km and the other is around 90km. The rides are a great way to improve fitness as well as a chance to meet other members. 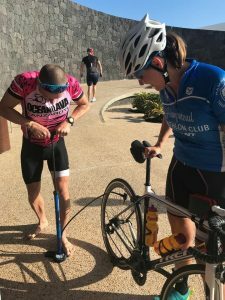 The focus on the rides is steady aerobic riding to help build strong endurance. We incorporate lots of sportives into the club training program. In the summer we also do a Thursday evening club ride. Ideally you should be able to fix a puncture. If you can’t please let the ride leader know before you set off and they can arrange for someone to show you if required. Up to date emergency contact details. Consider a RoadID bracelet or something similar. Glasses – Though not compulsory for group rides it is advised for people to wear glasses (with appropriate light transmission). Follow the rules – Abide by the rules of the road and remain responsible for your own safety for the duration of the ride. The Club recommends you take out insurance cover whilst training as well as racing. 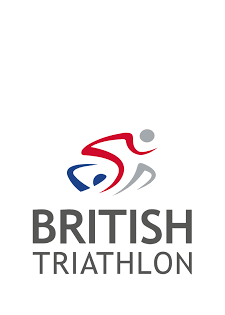 More information about BTA membership (which includes insurance cover can be found on their website – www.britishtriathlon.org. Other organisations such as British Cycling and the CTC provide similar cover whilst cycling, so you should decide which is most appropriate for you.